There are no major economic reports in Japan today but the US will release Retail Sales MoM and Business Inventories MoM. The support rests at 106.210 with resistance at 106.870 which the weekly pivot point at 106.390 is located in between the lines. The EMA of 10 is moving horizontally in the ascendant channel and it is below the EMA of 200 and above the EMA of 100. 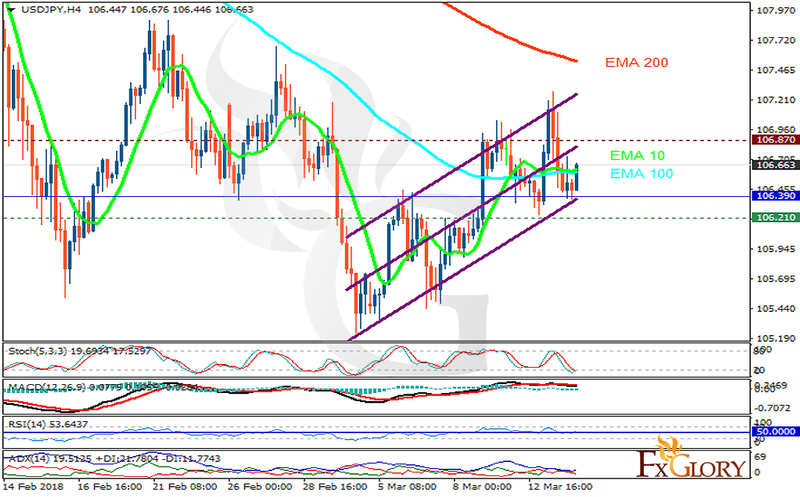 The RSI is rising towards the overbought area, the Stochastic is moving in low ranges and the MACD line is below the signal line in the negative territory. The ADX is showing buy signal. The resistance level breakout will push the pair higher towards 110 otherwise, it will be fluctuating within the support and resistance area.